Sean Hannity fired back at criticism from his Fox News colleague Shepard Smith on Friday, saying that the latter was "clueless" about how the network's opinion shows operated. 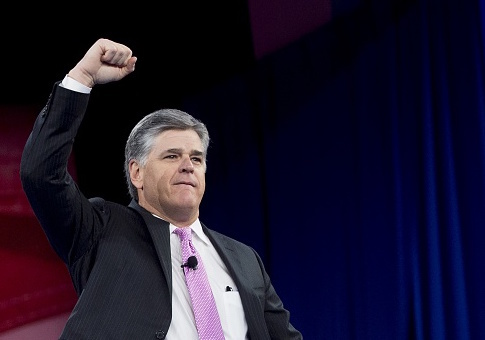 Hannity took to Twitter on Friday to make his displeasure with the veteran newsman known, only one day after Time Magazine published an interview where Smith was openly critical of opinion programming and commentary. Hannity called Smith a "friend" and someone who was "great at breaking news," but did not hold back when it came to defending his domain. "While Shep is a friend with political views I do not share, and great at breaking news, he is clueless about what we do every day," Hannity wrote. "Hannity breaks news daily-Warrant on a Trump assoc, the unmasking scandal, leaking intel, Fisa abuse, HRC lawbreaking, dossier and more REAL NEWS!" In the interview, Smith spoke candidly of his distaste for the role of Fox News hosts Hannity, Tucker Carlson, and Laura Ingraham in the realm of political commentary. Smith elaborated how reporting–his domain–differed greatly from opinion shows where "they don't really have rules" and "can say whatever they want." "We serve different masters. We work for different reporting chains, we have different rules. They don’t really have rules on the opinion side," Smith said. "They can say whatever they want. If it’s their opinion. I don’t really watch a lot of opinion programming. I’m busy." "Some of our opinion programming is there strictly to be entertaining. I get that. I don’t work there. I wouldn’t work there," Smith said. "I don’t want to sit around and yell at each other and talk about your philosophy and my philosophy. That sounds horrible to me." Ingraham, who hosts a show similar in format to Hannity's, joined in to defend her fellow opinion hosts, saying Smith's comments were "inconsiderate" and "inaccurate." She further defended the work that her show does in breaking serious stories. This is not the first time that Hannity and Smith have openly clashed. In July, Hannity criticized Smith for delivering an "anti-Trump" rant on the air. The spat comes on the heels of the network's Thursday announcement that it had re-signed Smith to a multi-year contract. This entry was posted in Culture and tagged Fox News, Laura Ingraham, Sean Hannity, TV News. Bookmark the permalink.